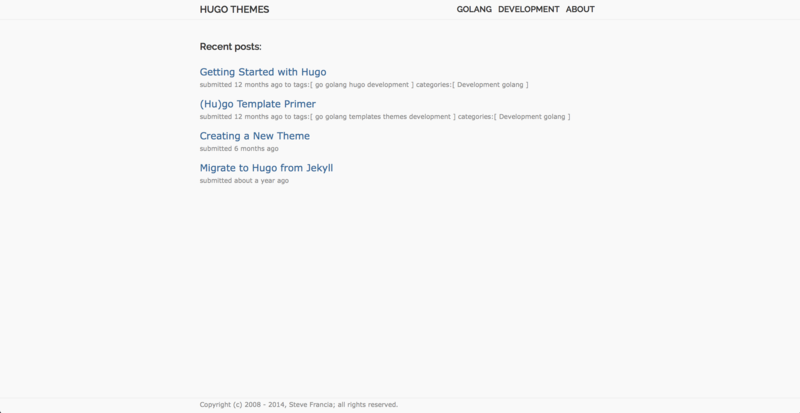 Yet another Hugo blog theme made by love. It tries to use less design to provide full functionalities. Are you tired of all that emerging design concepts like flat or material? Are you sick of getting distracted when pages filled up with those fancy nonsense? Here I brought up a new distraction-free theme: nofancy. Do subtraction instead of addition. The blog’s content matters (SNS things then after). Clean, high readability and mobile-friendly. 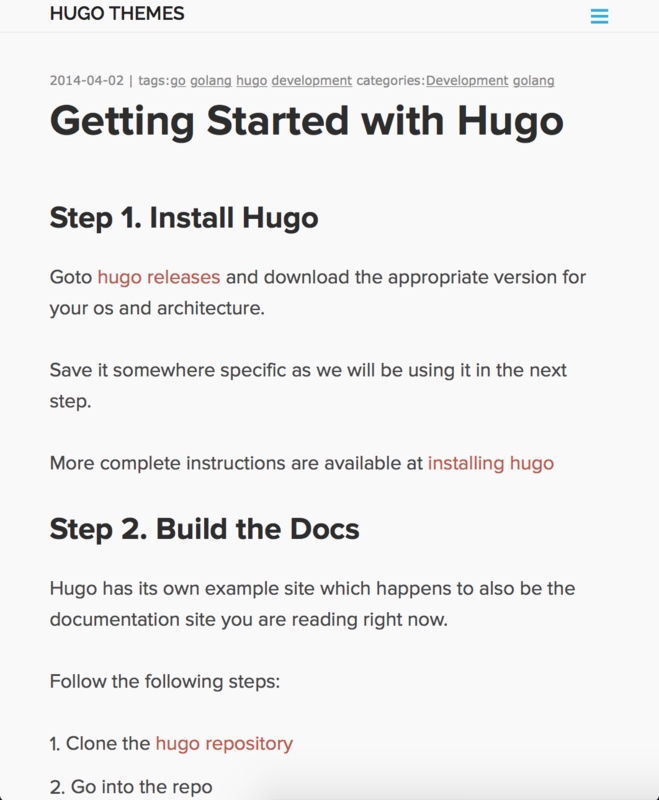 Use GitHub flavoured markdown to write your code snippets in posts, it will auto highlighted after running hugo. copyright = "Copyright (c) 2008 - 2014, Steve Francia; all rights reserved." # i.e. "default", "github", "monokai". highlight="Assign a syntax highlight style"
# If you have too many categories to fit in the top nav menu, set this to "none"
linkedin = "YOUR LINKEDIN ID"
facebook = "YOUR FB ID"
gaID = "YOUR Google Analytics Tracking ID"
twitter = "YOUR TWITTER ID"
All your personal information is in author section. it also support SNS links including github, twitter, linkedin, facebook (just fill in your user id). There is a fixed About page link on the top navbar which will bring user to your aboutme page. 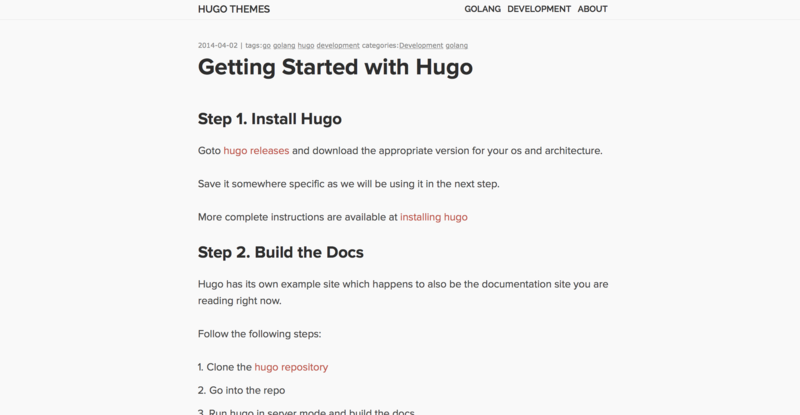 Just use hugo new about to write something about yourself!